BPI’s beachfront location means heaps of our activities cost nothing. Swimming, sunbaking (careful of high UV) football on the beach, and sunrise/sunset jogs all await! Team up for a game of beach volleyball on our own full size court, take out a boogie board, or hire a surfboard. The waves are always free .. Yew! 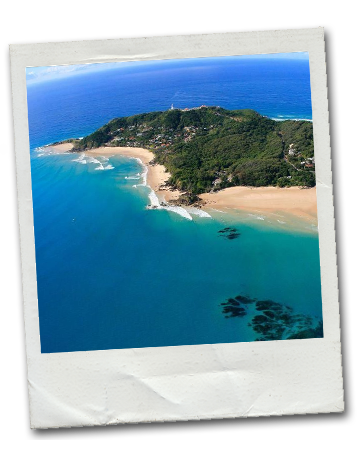 There is lots of things to do in Byron Bay! Just walk along the beach from BPI and in less than 1-hour you’ll be standing at one of the most breathtaking coastal lookouts in Australia, from its eastern-most point. If you’re lucky you’ll see dolphins and if you’re really lucky you’ll get to watch whales! The Lighthouse is especially awesome at Sunset, when crew gather for a few ‘sundowners’ while taking in the majestic view .. Bliss! 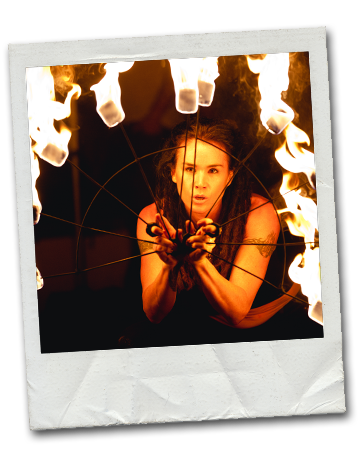 Night time is when BPI’s chilled tropical vibe ramps up a notch or two with its big Nights program: Live music from local and visiting artists, epic fire-twirling shows, Wazza’s famous BBQs and our huge new Outdoor Cinema, exclusive to Backpackers Inn!! Watch your favourite flicks under the stars, with the lull of the ocean just 50 metres away .. Or take advantage of BPI’s special relationships with Byron’s leading nightclubs, Woody’s Surf Shack, Cheeky Monkeys and Cocomangas. Enjoy VIP treatment, party tours, courtesy bus shuttle .. and unforgettable Byron Bay party times! Or crash the night party on the beach, and hang out around the fire with friends from around the world – the stuff of top travel memories. Or wander at your own pace through this eclectic surf town, just 500 metres from BPI. You never know who you’ll meet or what you’ll find at the friendly Aussie pubs or cool cafes, and the live music scene is always pumping 7 nights a week! Cruise the colourful streets for classic surf and indie fashion and culture, or lose yourself in Byron’s lively street scene, where there’s always something to see, hear, feel .. and remember! BOOK ALL YOUR LOCAL TOURS/ACTIVITIES AT THE FRIENDLY BPI TRAVEL DESK! Byron Bay was recently voted the best place in Oz to learn-to-surf with its perfect peeling waves, experienced instructors, warm water and safe conditions.  And ideally set in the heart of BPI is the Byron Bay Surf School – Byron Bay’s original surf school – where Jayme and his team of professional instructors make it easy for you to experience the best feeling there is, surfing your own wave to shore. With the ocean in your own backyard, you can ride a wave within minutes of leaving your room, and it doesn’t get better than that. Get on board a Stand Up Paddle Board, the world’s fastest-growing water sport! 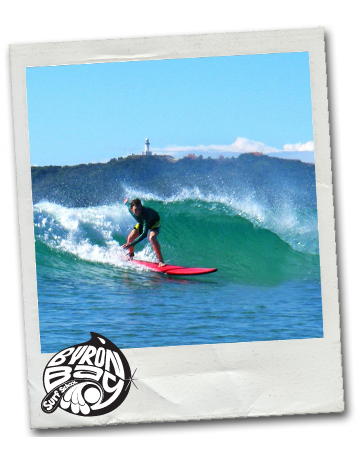 The Byron Bay SUP School – also situated in Backpackers Inn – hires out all SUP equipment at day and half-day rates. 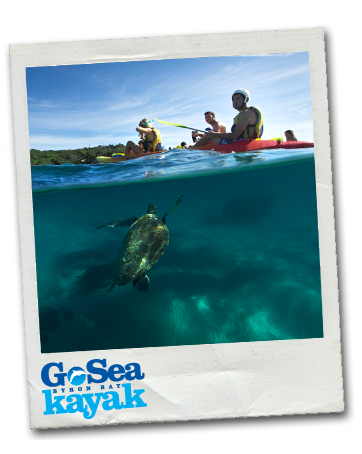 Or sign on to a daily 3hr guided lesson through the Cape Byron Marine Park, where you’ll get up close to native wildlife and marine life as you glide along in this easy and exhilarating experience! See Australia’s most spectacular coastal views from up to 14,000ft high! 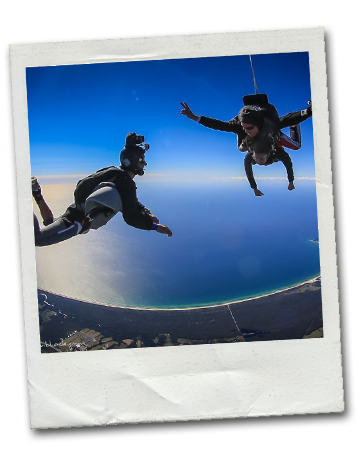 BPI’s Travel Desk will help book you on to the ultimate thrill of your lifetime, skydiving over Byron Bay where you freefall at high speed and land on one of Australia’s best drop zones. This breathtaking, adrenalin-pumping experience will stay with you forever and is a must for any thrill-seeker in Byron Bay! Another must do in Byron Bay. Watch dolphins dart through the waves, see turtles up so close you can almost touch them, or during winter watch the majestic Humpback whales pass through the Bay. The view from the water is also a wonderful way to observe Byron Bay and its landmark Lighthouse. Let the BPI Travel Desk book this essential Byron tour, as soon as you hit town! 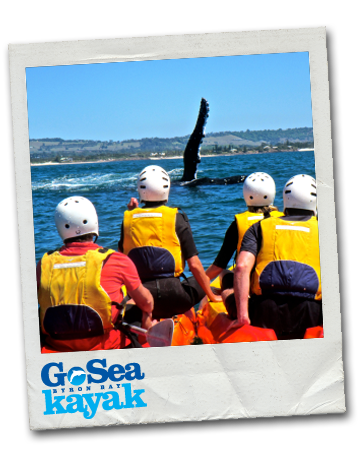 Each winter, the annual whale migration from the Antarctic travels right past Cape Byron. Watch this majestic parade from the Lighthouse or better still, book a whale watching tour through the BPI Travel Desk and see these mighty creatures up close and personal – amazing stuff. Julian Rocks is rated one of the top-10 dive sites in Australia and located just 2.5 kilometres off the Byron Bay coast. Its tropical warm currents mix with cooler temperate waters, creating an underwater brilliance for the turtles, manta rays and more than 400-hundred different species of fish. 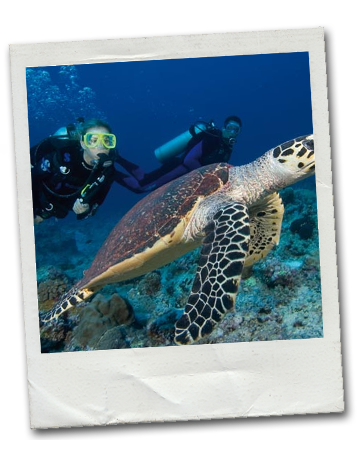 Book your snorkel or scuba diving experience early, only at BPI’s Travel Desk. World-Heritage listed Mt Warning is one of the many National Parks and Nature Reserves you’ll find surrounding Byron Bay. Hire a car or take a day-tour into the forest, and lose yourself among the ancient Eucalyptus and Sub-tropical trees. Picnic and swim at Minyon Falls before a bushwalk along the loop track through Nightcap National Park. Or at nearby Suffolk Park, wander through the coastal Arakwal National Park, significant to Byron’s indigenous Arakwal people. 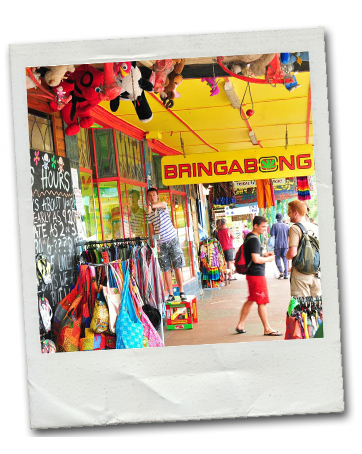 Nobody misses a trip to Nimbin when they’re travelling through Byron Bay. Get the BPI Travel Desk to book your Day-Tour to this alternative hippie community in the hills, and get lost in time on the colourful streets made famous through the legendary Aquarius Festival of the 1970s, Australia’s answer to Woodstock. 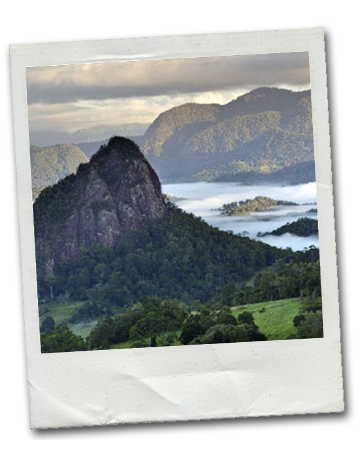 Surrounding rainforests and waterfalls just add to the cool experience! 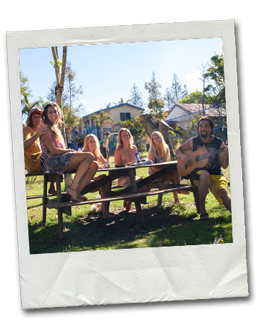 BACKPACKERS INN HAS BECOME AN INSTITUTION FOR THOUSANDS OF TRAVELLERS FROM AROUND AUSTRALIA AND THE WORLD, WANTING THE ULTIMATE BYRON BEACHFRONT EXPERIENCE.